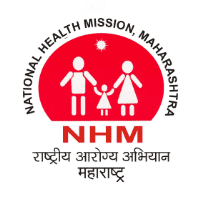 NHM Mumbai Jobs Recruitment Notification 2018.National Health Mission Mumbai inviting applications for the positions of state consultant, pharmacist, senior consultant and consultant jobs.Interested and Eligible candidates can apply for the positions. Number of contractual positions to be filled in NHM Mumbai is 27. For Pharmacist post the qualification is D.Pharma/ B.Pharma with MS-CIT/CCC. For remaining posts the qualification is MBBS/ BDS/MPH/MHA/MBA from a recognized university with minimum post qualification experience. Maximum age for Open category candidates is 38 years, for reserved candidates is 43 years. Age relaxation for existing NHM employees is 5 years. Mode of applying for NHM Mumbai recruitment is through offline. 24th September 2018 is the last date to submit applications. www.nrhm.maharashtra.gov.in candidates can download application form and send to below given address. Commissioner, Health Services and Mission Director, NHM, Arogya Bhavan, 3rd Floor, St. George’s Hospital Compound, P.D’ Mello Road, Mumbai-400001.